Collet adapters work because a hole in the adapter shaft (machined to fit your motor or gearbox shaft with precision) is split along it's length several times is forced to contract (usually by the prop drive plate) tightly against the prop shaft. 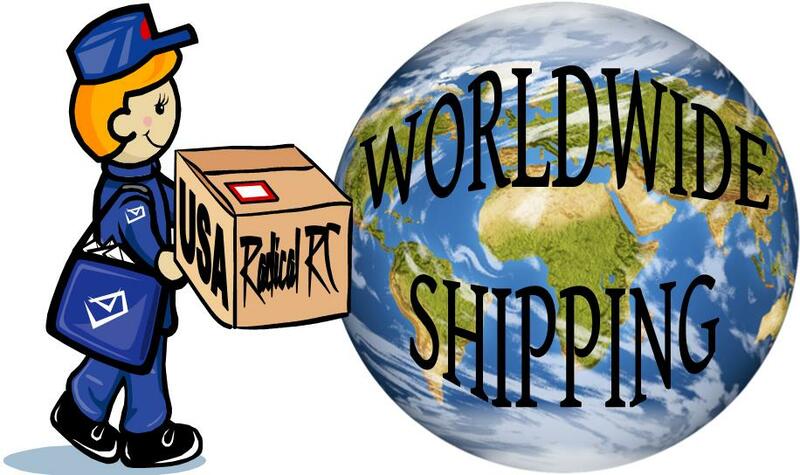 Collet type adapters usually provide a more true center than any other type of adapter meaning less vibration. Fits 1.5mm(0.06") motor shafts. Presses into 4mm bore props. This is the easy way to adapt the small GWS Hyper Drive props such as the 4-2.5 to 1.5mm shafts found on the ever popular 12mm inrunners and many of the new micro outrunners. Works great with all of then, AON, Fiegao, Medusa, EMP, etc... Each package contains 5 adapters. Laser cut from aircraft grade plywood. Notes: There are 7 props in the GWS line with a 4mm bore ranging from 4"x2.5" to 5x4.3". Also note the RRC Direct 4x3" prop has a 4mm bore. This adapter will get all these 4mm bore props onto a 1.5mm shaft. Yes, this internal adapter allows you to run the 5x3 and 5x4.3 GWS HD props on your Sukoi which has 1.5mm gear box shaft. Fits 2 motor shafts. Each package contains 5 collets. Presses into 4mm bore props. This is the easy way to adapt the small GWS Hyper Drive props such as the 4-2.5 thru 5x4.3" props to 2mm shafts. 20mm inrunners like HiMax 2015 and 2025, Hacker 20mm inrunners, almost all 20mm in runners long or short have 2 mm shafts. Many smaller outrunners also use 2mm shafts. Laser cut from aircraft grade plywood. Notes: There are 7 props in the GWS line with a 4mm bore ranging from 4"x2.5" to 5x4.3". Also note the RRC Direct 4x3" prop has a 4mm bore. This adapter will get all these 4mm bore props onto a 2mm shaft. GWS Aluminum Prop/drive shaft adapter. This one fits 4mm prop hole and brushless, 2mm motor shafts. Display/photo note: Part configuration may be slightly different than photo. Prop Adaptor for 2mm(0.08") shafts. A Very common size on 20mm brushless motors. Prop Adaptor for 2mm (0.08") shafts. A Very common size on 20mm brushless in-runners and small outrunners. Maxx Products Collet Prop Adaptor 2.0mm(0.08") Motor Shaft to 5mm(0.20"(3/16")) Prop Shaft. Common size for speed 280, 300, 301, 350, 370 and most 20mm OD brushless in-runner motors. Light weight Aluminium, nice nut. Note, this type adaptor is intended for small props and does not have enough motor shaft grip to hold high power 3D applications like 11-4.7 and 12-6 props. However, for props in the 8" and under category it works well and offers a very small shaft diameter so less prop drilling is required. This is an interesting prop driver. Comes with sleeve locker adhesive. It's intended to be "glued" onto your shaft. This gives you the shortest adapter possible. Originally designed for the Gunther props, will work with all the 4mm bore GWS props as well such as the ever popular 4x2.5 prop. Overall Length .474" (12mm). Max prop hub thickness about .350" (8.88mm). Maxx Products Prop Adaptor 2.3mm(0.09") motors. Has 5mm(0.20"(3/16"))prop shaft. This is the common size for S-400 thru S-480 motors. Light weight Aluminium, nice nut. Note, this type adaptor is intended for small props and does not have enough motor shaft grip to hold high power 3D applications like 11-4.7 and 12-6 props. However, for props in the 8" and under category it works well and offers a very small shaft diameter so less prop drilling is required. Prop Adaptor 2.3mm(0.09") motor shaft. Prop Adaptor for 3.0mm(0.12") motor or gearbox shafts. This is the size shaft on 20mm Himax (3966) gearbox's as well as all the GWS 100-280-300-350-370 gearbox systems for S-300's. Radical RC Prop Adaptor 3mm Motor Shaft. Prop Adaptor for 3mm(0.12") motor or gearbox shafts. This is the size shaft on 20mm Himax (3966) gearbox's as well as all the GWS 100-280-300-350-370 gearbox systems for S-300's. Prop Adaptor for 3.0mm(0.12") motor or gearbox shafts. Lite weight version. This is the size shaft on 20mm Himax (3966) gearbox's as well as all the GWS 100-280-300-350-370 gearbox systems for S-300's. Maxx Prop Adaptor 3.2mm (1/8") shaft, 6mm prop hub. Fits 1/8" (3.2mm) motor shafts, props must be clearanced for 6mm threaded shaft. Aluminum. Prop Adaptor for 3.2mm(1/8") motor or gearbox shafts. Common size for many 550, 600 motors as well as Astro 020 and many 40mm brushless motors. 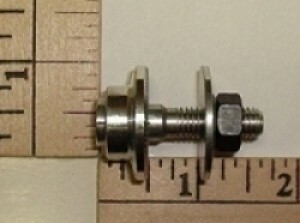 Prop Adaptor for 3.2mm(1/8") motor or gearbox shafts. Common size for many 550, 600 motors as well as Astro 020 and many 40mm brushless motors. Prop Shaft OD: 5mm. Shaft length: 18.5mm. Overall length: 27mm. Prop Adaptor for 3.2mm(1/8") motor or gearbox shafts. Common size for many 550, 600 motors as well as Astro 020 and many 40mm brushless motors. Prop Shaft OD: 5mm. Shaft length: 12.25mm. Overall length: 22mm. Fits 4mm (5/32) motor/gearbox shafts. Locks onto shaft with set screw. Prop mounts on 1/4" shaft. 1/4-28 bullet nut. Fits 4mm (5/32) motor/gearbox shafts. Locks onto shaft with collet. 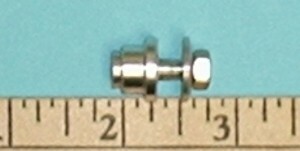 Prop mounts on 1/4" (6.3mm)shaft. Bullet nut. Prop Adaptor for 4mm(0.16") motor or gearbox shafts. Prop mounts on 7mm shaft boss, threaded shaft is 6mm. Props with 6mm hole will need a 7mm recess in the back to accept the boss which is aprox 5mm high off the surface of the drive plate. Prop Adaptor for 4mm(0.16") motor or gearbox shafts. Prop Adaptor 4mm motor and gearbox shafts. Has 8mm threaded prop shaft. Fits 4mm motor shafts, props must be clearanced for 6mm threaded shaft. Aluminum. 6mm bullet nut. Prop Adaptor for 3/16 motor and gearbox shafts. Fits many Astro Flight gearbox's and Model Airtech belt drives. Fits 5mm motor/gearbox shaft, locking on with collet. Prop mounts on 1/4" shaft. 1/4-28 bullet nut. Fits 5mm motor/gearbox shafts. Locks onto shaft with collet. Prop mounts on 8mm shaft. 8mm bullet nut. Prop Adaptor 5mm motor and gearbox shafts. Has 8mm threaded prop shaft. 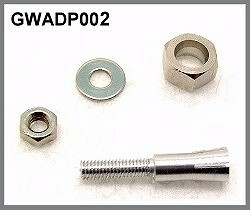 GWS anodized aluminum Prop Adaptor. 5mm outrunner motor or gearbox shafts with 6mm prop shaft. Prop Adaptor 5mm motor and gearbox shafts with 6mm prop shaft. Prop Adaptor 5mm motor and gearbox shafts. Has 8mm threaded prop shaft. This is a great adaptor for larger props. Fits 6mm motor/gearbox shaft, locking on with collet. Prop mounts on 8mm shaft. 8mm bullet nut. Prop Adaptor for 6mm(0.24") motor or gearbox shafts. Has 8mm(0.31") prop shaft outside diameter. Prop Adaptor for 1/4"(6.35mm) motor or gearbox shaft size x 8mm shaft. Adapts GWS hyper drive props with 4mm hubs (hole in prop hub is 4mm) to press onto 2 & 2.3mm shafts. For example: Press this in the GWS HD props (the small ones have 4mm hubs) then the prop will press onto your 280, 300, 350, 370, 380 and 400 brushed motor shaft as well as most 20mm od in runners and many small 22mm outrunners. GWS White molded plastic Prop bushings allows easy centering of various props directly to any 3mm threaded shaft motor or gearbox. GWS 002,003,004 ourunners and all the 150,280,300,350,370 class gearbox's use threaded 3mm shafts as does Himaxx 20mm inrunner gearboxes and most others. Adaptors specificly for APC 8.0-9.0 in, 10.0-11.0 in, Cox 7.0 in, and Graupner 9.0 in Propellers, may aid in using others also. 2 each of 4 different sizes. Handy part to have around. Fits 3mm motor shafts, props must be clearanced for 3/16" threaded shaft. Collet Type. Aluminum.